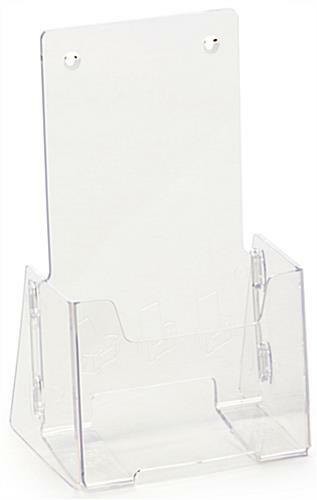 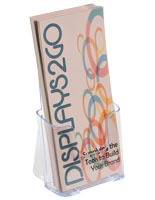 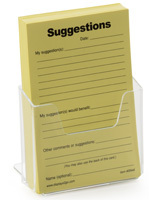 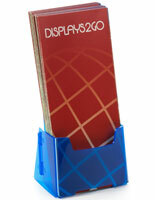 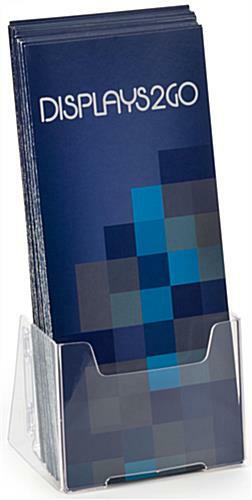 This commercial desktop pamphlet holder is made of clear plastic to offer the best views of information to customers. 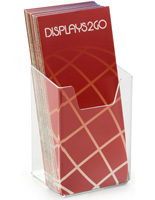 The literature display is designed for 4” wide trifold brochures and for placement on counters or tables. 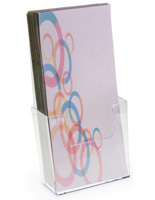 The pamphlet holder with “Slide & Lock” assembly is put together by simply snapping the sides into their proper place. 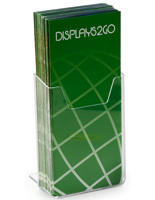 The pocket of the container is 1.5” deep and will hold many copies of brochures. 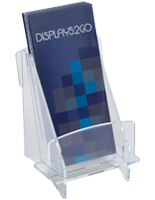 The holder is very affordable and is great for businesses that are on a budget or that don’t want to pay a lot of literature displays. 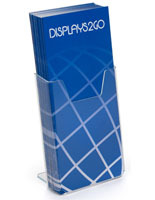 The plastic pocket has a high back to support trifold leaflets that are placed inside. 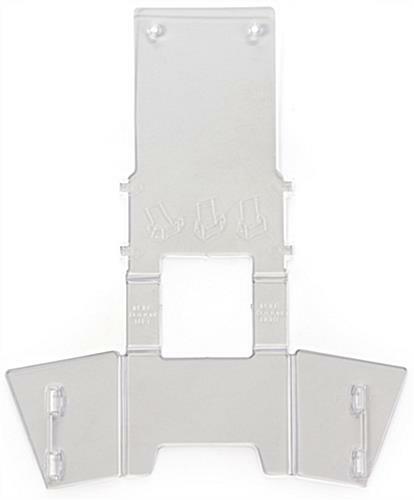 4.0" x 3.1" x 1.5"